At 40, you should have a full eye examination, with follow-up exams about every two years (or more often if recommended by your optician). Age increases the risk of cataracts, glaucoma and macular degeneration, but if detected early, the development of some diseases can be slowed or halted. At 70 and beyond, you should have a full eye examination every year, even if you think your vision is good. If you are 60 or over you can get an eye test for free. Who is eligible for a free eye test? People who are eligible for NHS complex lens vouchers. To find out whether you’re entitled to a free eye test, pick up a leaflet from your local health centre or optician, or log on to www.nhsdirect.nhs.uk. When should I be worried about my eyes? If you develop any pain, redness, watering, swelling, decreased vision/blurring, double vision, distortion, flashing lights or floaters. In these cases you should seek further advice from your GP or your local accident and emergency department. Glaucoma – This is a very important condition which can lead to blindness is not picked up early.Symptoms to look out for include headache, painful, red eyes which are suggestive of acute glaucoma (sudden increase pressure in the eye). Chronic glaucoma can also be asymptomatic; it is therefore important to have your eyes checked regularly. It affects 2 in 100 people over the age of 40 and is more common in increasing age groups. If you have relative with glaucoma you are eligible for a free eye test. Cataracts – A cataract is a clouding of a part of your eye called the lens. Your vision may become blurred. Many people over the age of 60 do have some cataract and the vast majority can be treated successfully. Age Related Macular Degeneration (AMD) – A part of the eye called the ‘macula’ is damaged in this condition. 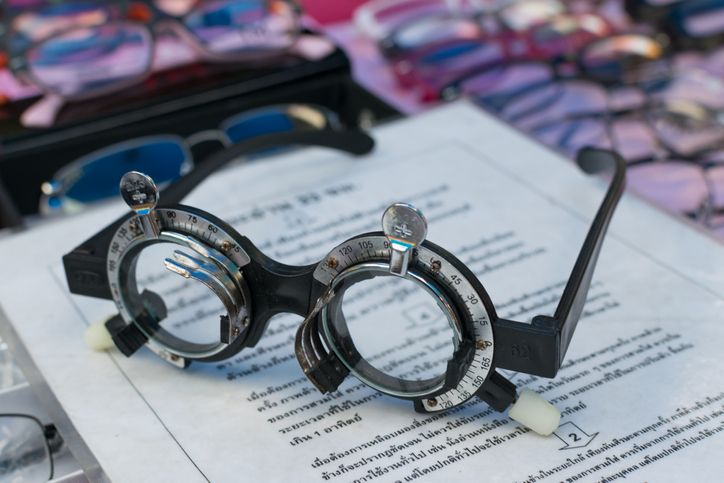 The macula is important for what you see in front of you, for fine detail for activities such as reading and writing as well as ability to see colour. In this condition you may notice your central vision is disturbed or you can not see fine detail clearly. There are two types ‘Dry’ and ‘Wet’. Although the dry form is most common (leading to slow gradual loss of central vision), unfortunately there is no medical treatment for this type, however magnifying aids and bright lights can help. The ‘Wet’ form causes bleeding and scarring leading to loss of vision. Laser treatment can sometimes help certain types of ‘Wet’ AMD. Stopping smoking is important in stopping the progression of AMD. Conjunctivitis – Redness and soreness often occurs. The eye may be sticky, painful or itchy. Sometimes there is a dislike of bright light. The most common cause is bacterial. However, it may also be caused by viral and allergic factors (hayfever). It may clear of its own accord, but sometimes needs treatment.